The most surprising energy fact? 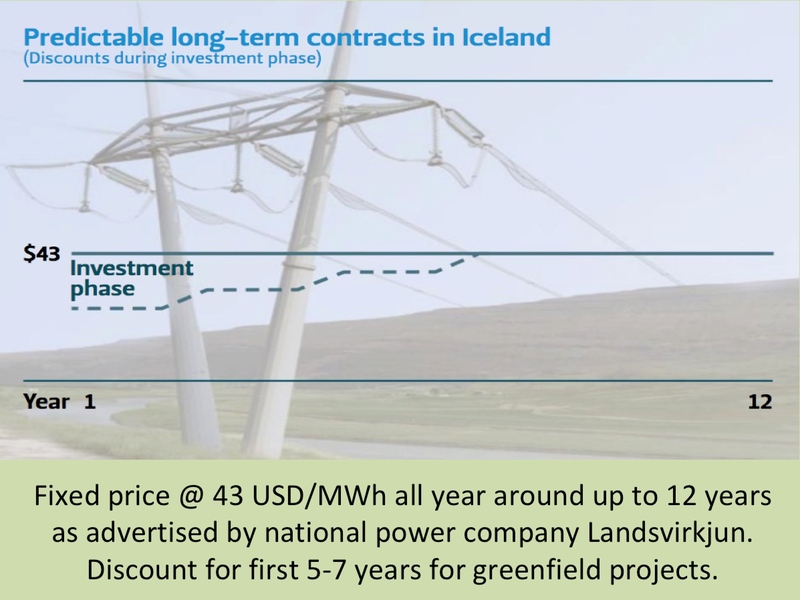 Here at the Icelandic Energy Portal, we are very proud of the fact that power consumption in Iceland is almost totally based on renewable power sources. And when we look at gross energy consumption, Iceland is also the green leader. Therefore, it may be a surprising fact that Iceland is fast increasing its coal consumption. In fact the country is becoming a major user of coal (per capita). 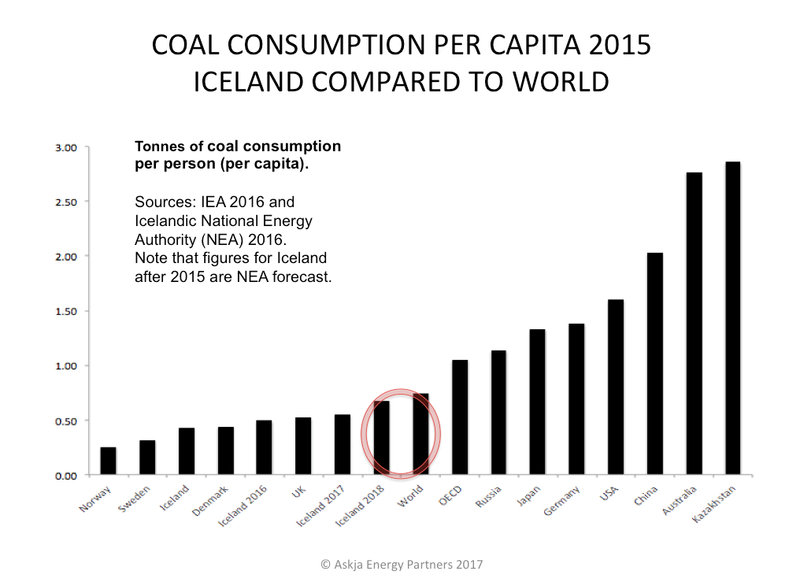 According to information from the International Energy Agency (IEA), coal consumption in Iceland (per capita) is now almost on pair with the coal consumption in the United Kingdom (UK). As can be seen on the graph at left. In the coming years, it is expected that coal consumption (per capita) in Iceland will grow quite fast. And soon become close to the present world average coal consumption (per capita). Iceland has no coal power station. The reason for the growing use of coal in Iceland, is the heavy industries located in the country. They import and use the coal in their industrial process. Iceland has a major aluminum industry and the aluminum smelters need carbon materials for the production. Also, Iceland has a fast growing silicon industry, which also uses coal in their production. These are the reasons why Iceland is becoming such a substantial coal consumer. The growing use of coal in Iceland in the coming years, is all related to new and upcoming silicon plants. These industrial plants are the main reason why Iceland is scoring much higher on the list of coal consuming countries, than people in general may assume.